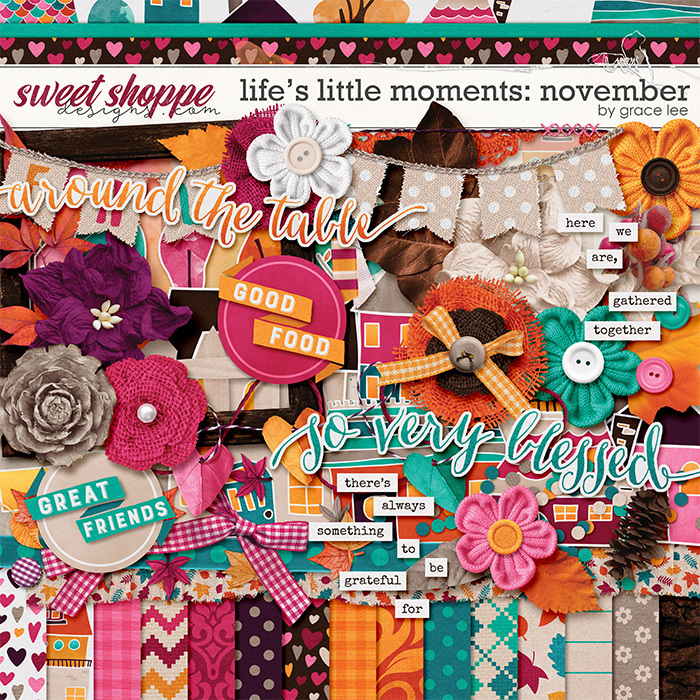 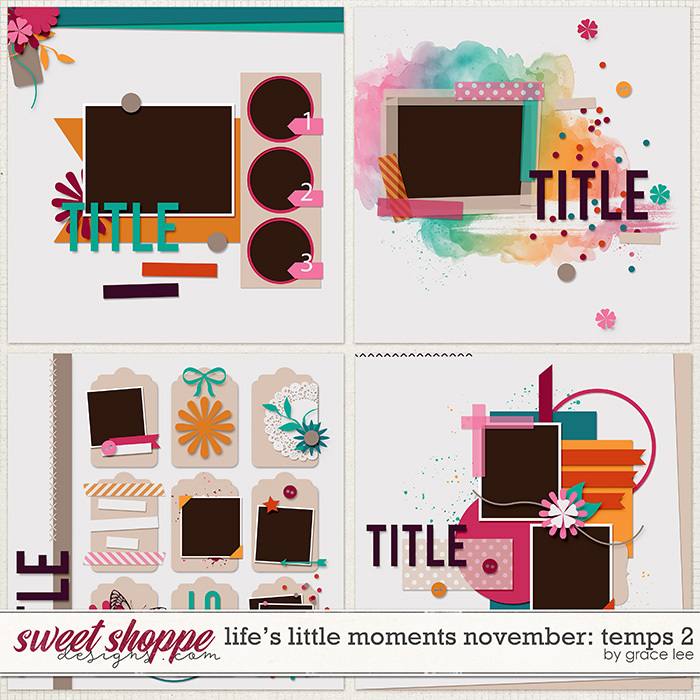 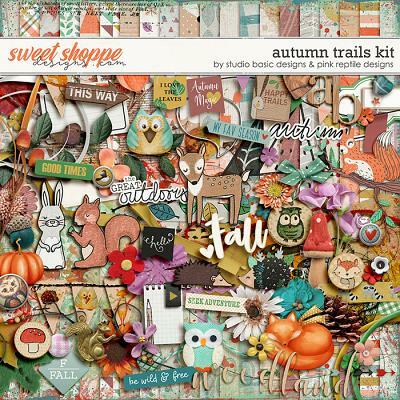 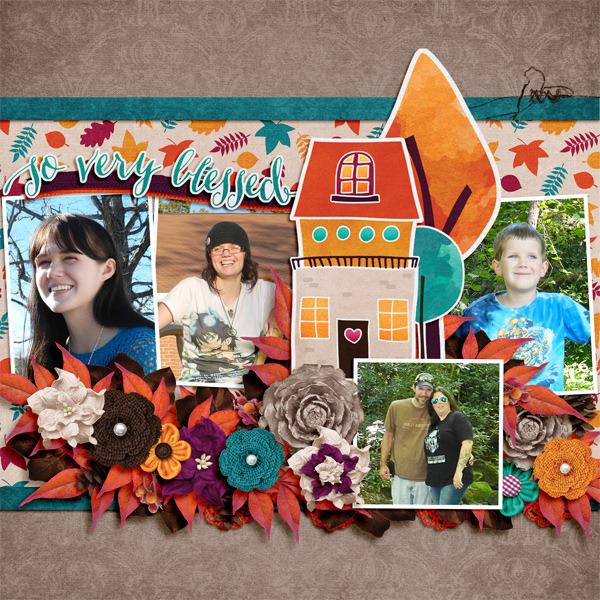 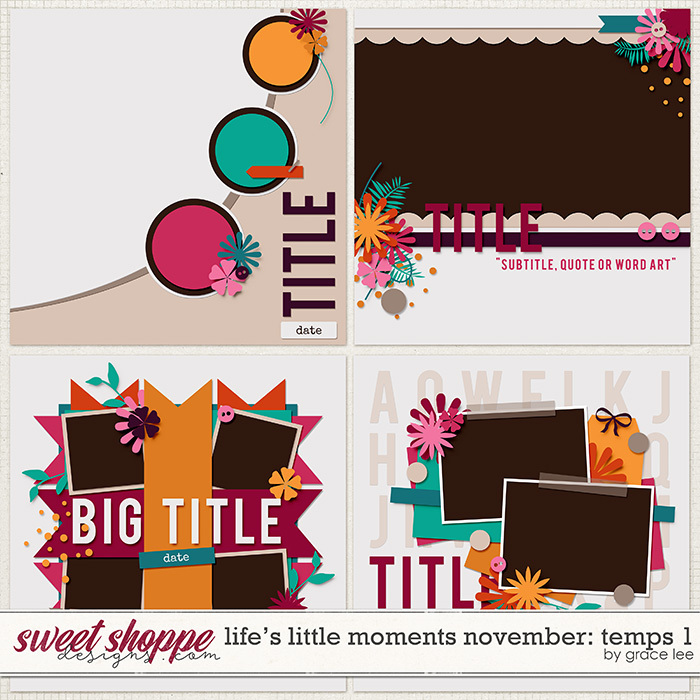 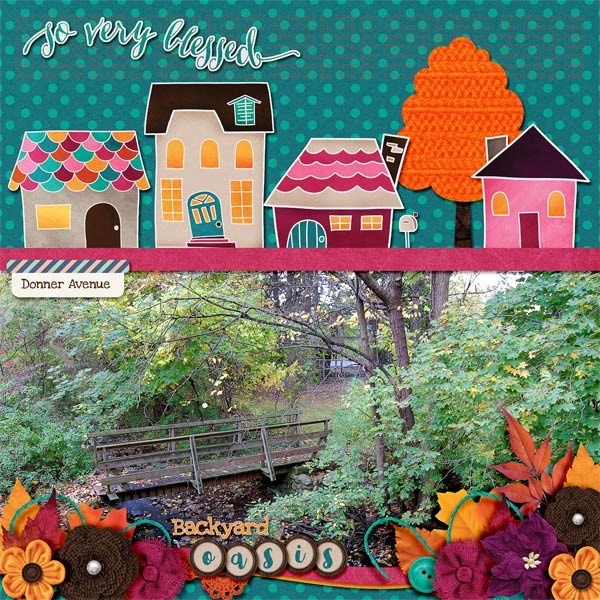 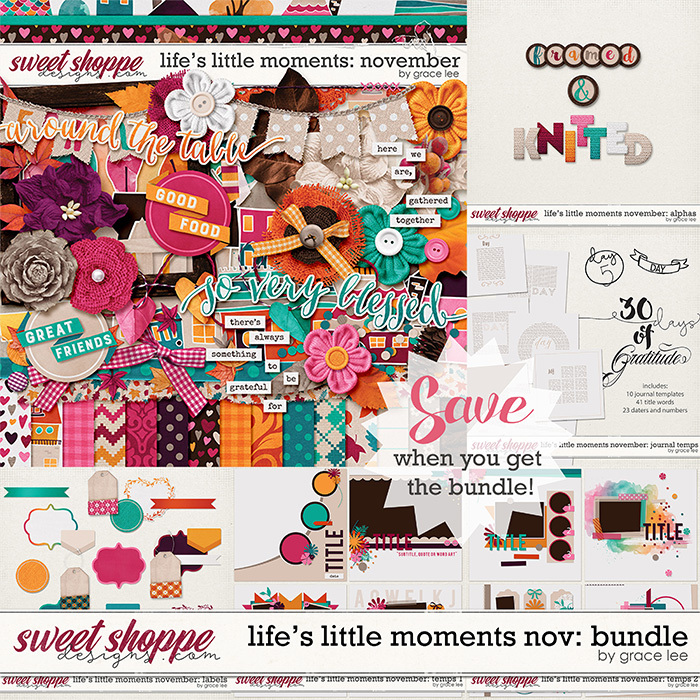 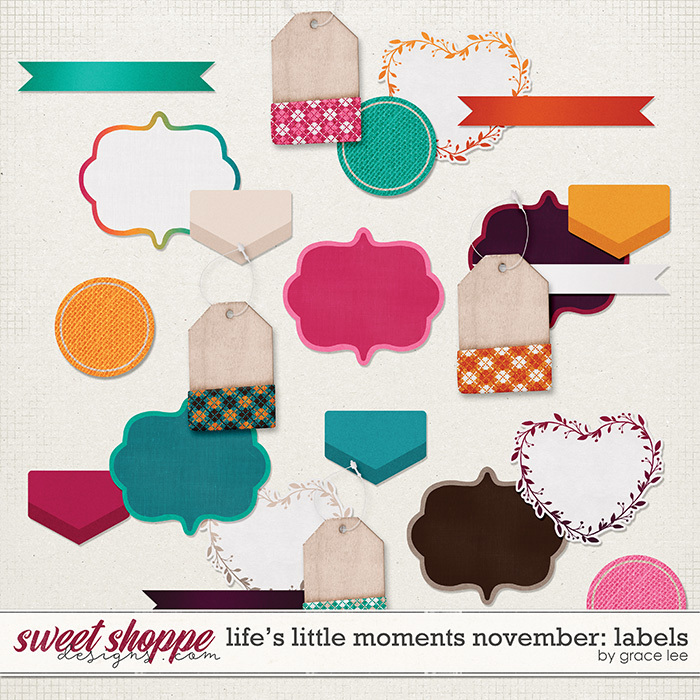 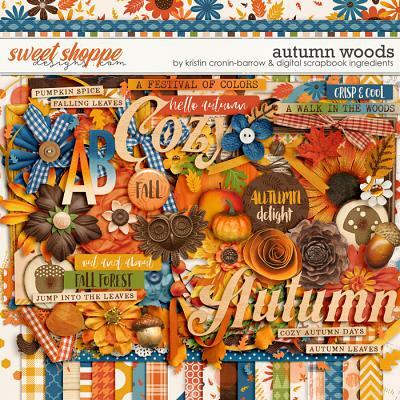 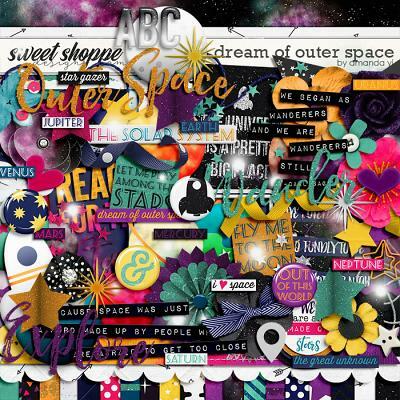 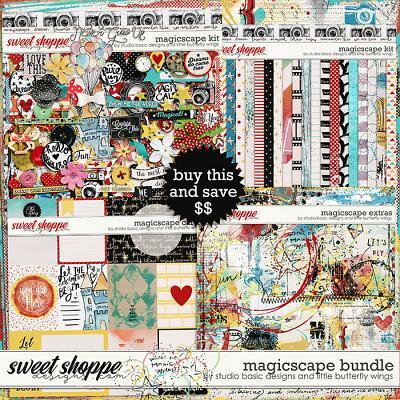 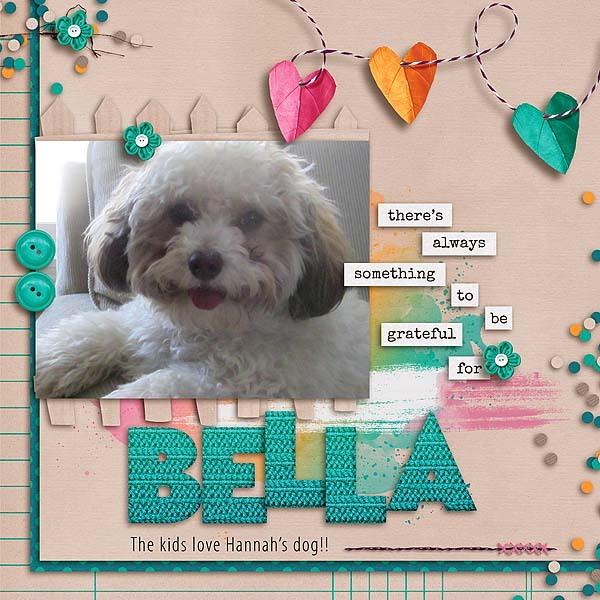 A digital scrapbooking collection by Grace Lee, Life's Little Moments - November: Bundle celebrates all that is wonderful about fall. 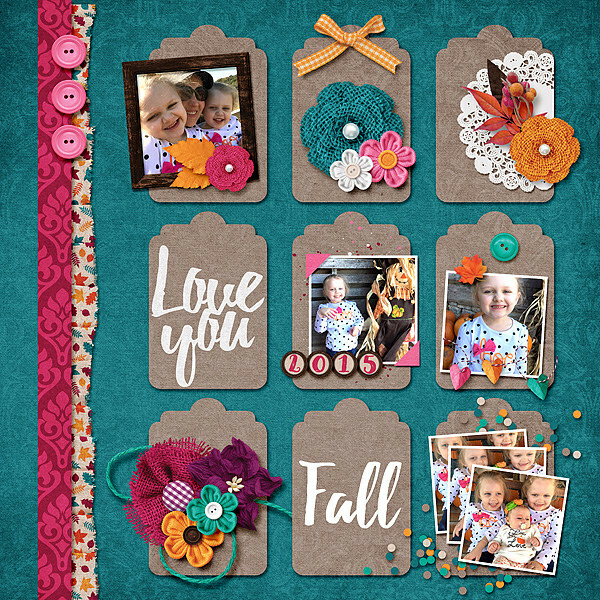 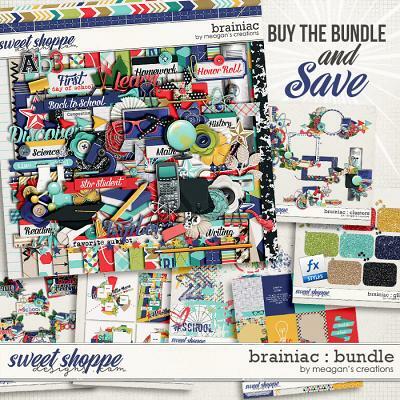 Combining rich, jewel colors, luxurious textures and an eclectic mix of elements and patterns, this collection will help you document the changing colors of the season, as well as the coziness within the home. 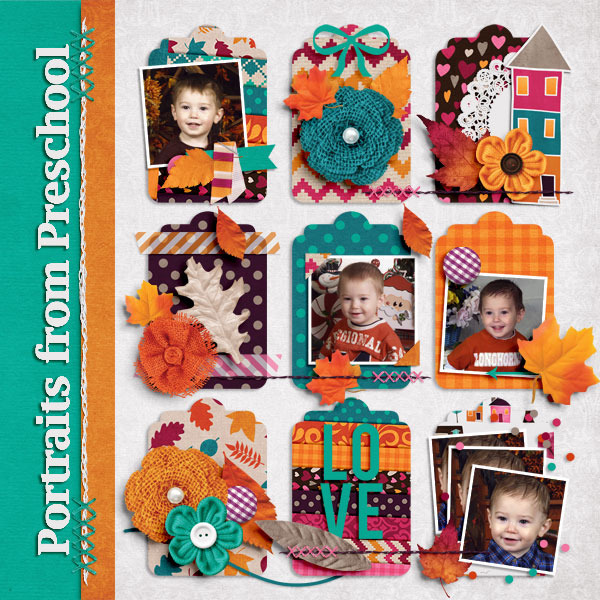 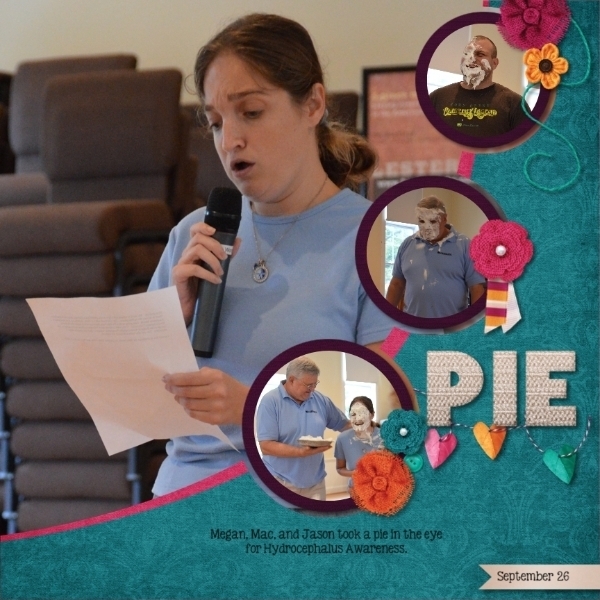 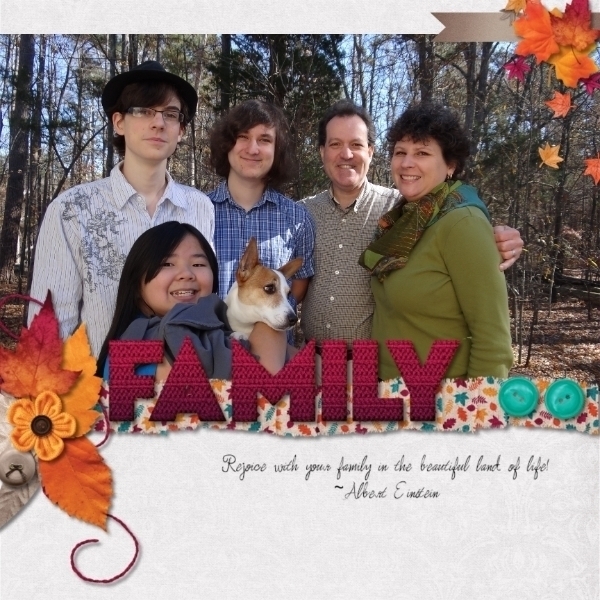 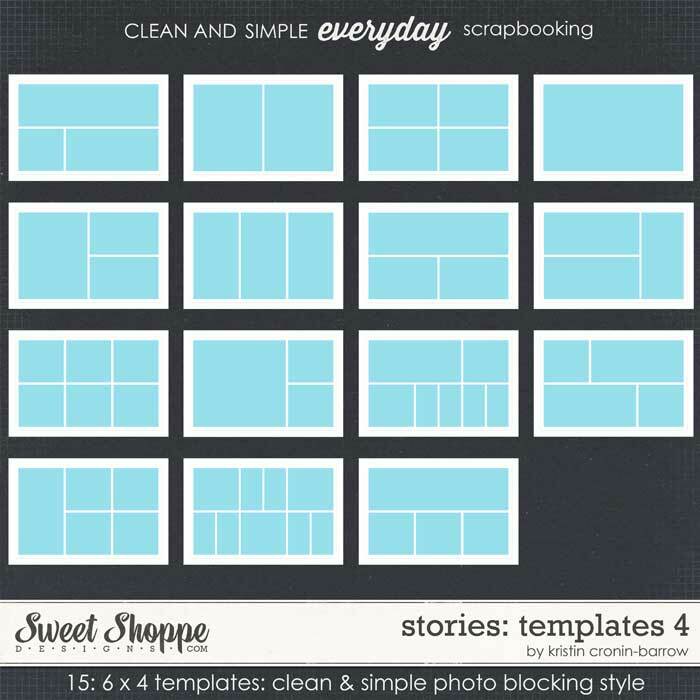 It is also great for all kinds of Thanksgiving projects!